Summary: Save those receipts, people! 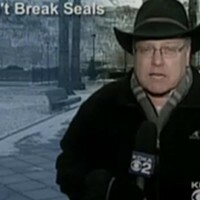 Reporter: Jon Delano, KDKA Channel 2 Airtime: 2 minutes, 51 seconds on Dec. 19 Visuals: * A "mall montage" of package-toting shoppers. * The return line at retail giant Target. Highlights: * When anchor Kristine Sorensen opens: "With the holiday gift-giving season, comes the inevitable returns. The gifts that didn't fit, were the wrong color, or just not what someone wanted. But if you want many happy returns, you need to know the rules." * When Delano says, "[Return rules] can vary widely from one merchant to the next. Consumer Reports says it pays to know the policy before you buy. But even if you've already made the purchases, it's not too late." * When Delano narrates, "The National Retail Federation says 40 percent of Americans take back at least one gift after the holidays. 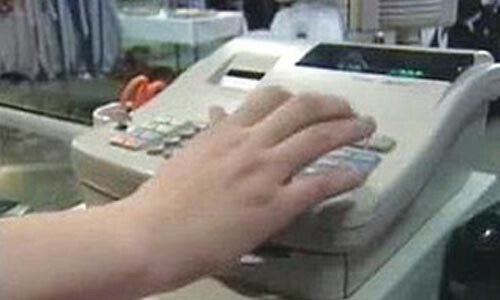 Consumer Reports says the good news is, this time of year, most retailers relax the time you have to return an item." * When Tod Marks of CR explains, "If a company has a 14-day return policy, when it comes to the holidays, you might have to the end of January, typically, to return it." * When Delano offers this caveat: "But you might find stores have become stricter about other things. Restocking fees for open boxes or missing packaging are becoming more common. ... In addition, many stores are tougher on receipts. * When Marks adds, "As a matter of fact, many merchants actually use tracking software on their computers to be able to look for people ... who return a lot of items that they purchase without receipt. You may actually be turned down for a return if you bring too many items back without a receipt." * When Delano adds, "You may also be forced to accept the lowest price the item sold for, not what you paid, which means that the number-one rule of returns is bring your receipt or gift receipt. ... Go to the right place. Some stores won't accept returns on items you bought on the Internet." * When Delano concludes, "Now if your return is denied and you don't know why, you may have incorrectly [been] flagged as having committed return fraud. You might be able to clear your name by e-mailing The Return Exchange [which is now theretailequation.com], a company that monitors returns for retailers." What We Learned: It is better to be a cereal returner than a serial returner. I think. Unanswered Question: Do I get a 15 percent discount on this repackaged news-feed story? News Value: 5. A lot of this is common sense, but there are some nuggets here worth noting. Even if they are canned nuggets.